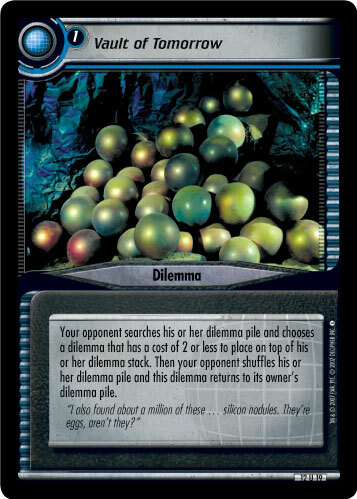 Your opponent searches his or her dilemma pile and chooses a dilemma that has a cost of 2 or less to place on top of his or her dilemma stack. 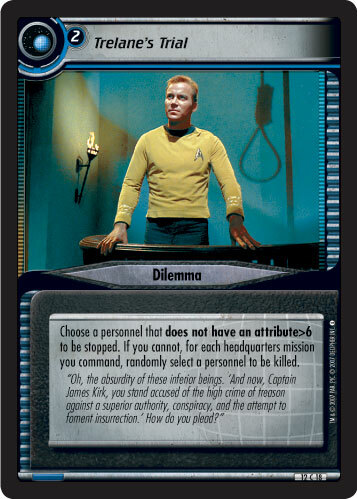 Then your opponent shuffles his or her dilemma pile and this dilemma returns to its owner's dilemma pile. "I also found about a million of these ... silicon nodules. 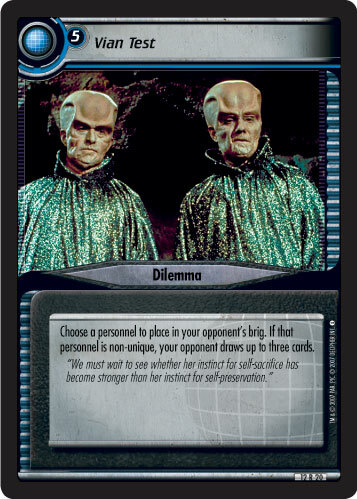 They're eggs, aren't they?"